When Sprint made their data unlimited, we explored the side effects of consuming too much, the lengths the dead would go to get it and give NASCAR fans a platform to put it to use. From threats to jokes to passive aggression, moviegoers have seen every tactic served up to convince them to silence their phones for the duration of a film. But what if they actually got something of value for doing it? 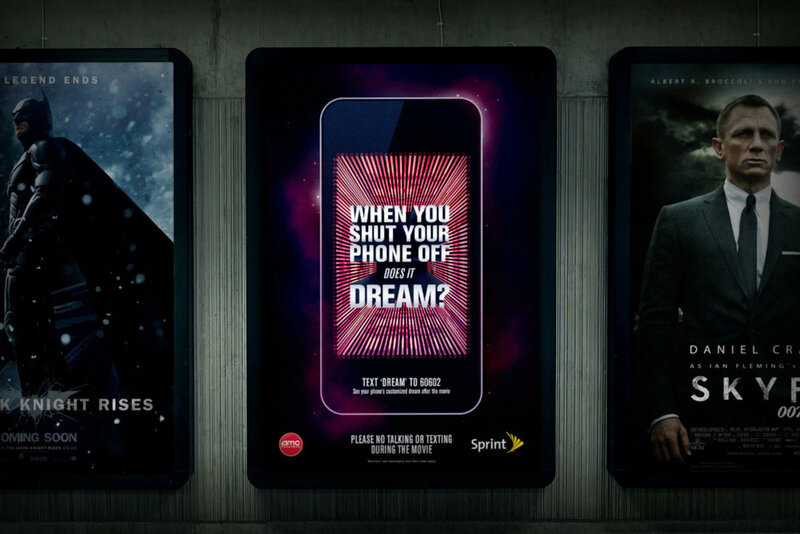 With Sprint Phone Dreams, those who shut their phones off for the duration of a film were served up a unique viewing experience (based on their social media activity) when they turned it back on – giving the impression their phone dreams.